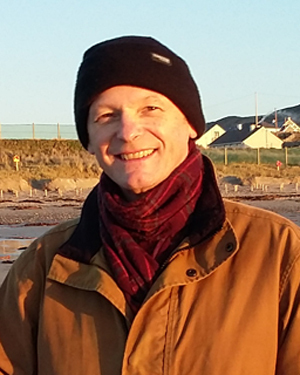 Today I am hosting David Ahern, the author of Madam Tulip series – welcome and thank you for visiting my humble blog! David very kindly agreed to answer some questions which, I suppose, might explain a bit Madam Tulip magic :). Have you ever visited a fortune teller? If not, why? I have. The first time was by accident, strangely enough. I didn’t even know the person I met was a fortune teller. Then she told me spookily accurate things. But like Madam Tulip says, fortune telling is mostly about finding the right questions. 2.Which three facts characterize your writing process the best? I just tell the story like I was sitting down at a fireside. I value economy. I let characters drive the plot. Derry O’Donnell, the main character in the Madam Tulip books, is an actress and a gifted psychic. Have you modelled her after a person/people you’ve met/known in real life? Not at all, although coming from a theatrical background, I’m a big fan of actors. How many instalments have you planned for this series? I’ll keep going as long as readers want me to. Derry drinks a lot of borage tea which, in my humble opinion, is really awful. Why have you chosen such a nasty drink for your heroine? I discovered it in a silly way. You probably know that Prince Charles’ estate sells organic seeds to gardeners. I like to try out unfamiliar plants, so I bought a packet of borage for an outrageous price, only to find the thing is a triffid, self-seeding all over the place. This is a seriously expensive weed, albeit aristocratic. I did some research and found borage was highly regarded in ancient times as a drink. Tried it and found it pleasant. The 17c herbalist John Gerald says, ‘The leaves and floures of Borage put into wine make men and women glad and merry and drive away all sadnesse, dulnesse and melancholy.’ What’s not to like? Thank you for your answers, it’s been a pleasure to host you! Now I would like to present the newest Madam Tulip book which complimentary copy I got in return for an honest review – enjoy! Derry and Bruce are enjoying themselves as gloriously unemployed actors who can sip coffee and complain all day long when suddenly they get engaged in a movie. Or rather Derry is offered a gig and then the offer is extended to Bruce – all because of the fame Madam Tulip has earned. Off they go to Scotland, the land of kilts, whiskey and deer stalking – ah, the romance of the Scottish glen! ;p Jacko and Vanessa, Derry’s parents, appear in the background too, being invariably funny and providing much-needed comic relief because soon Derry’s gig turns dangerous, even deadly. Despite their best efforts, Derry and Bruce get involved in a shady dealings of high-profile money launderers. I have to admit once again I enjoyed the lecture a lot. The plot was good, properly paced and easy to follow. Of course Madam Tulip, my favourite psychic so far, had to emerge as well – she was asked to tell fortune several times, using a set of dice made of sheep bones (thus the title) – after all there’s nothing better than a bit of fortune-telling on a movie set or during a posh Halloween party. Still the movie was never finished and the party itself ended badly; for Derry and other women it turned into a real horror. Overall I felt it was a darker tale, more serious than the previous parts, or, at least, it was darker when it comes to the last chapters. Witchcraft. Weirdness. Drugs and drink. Misbehaving women. Men’s preconceptions about them. Greed. Mercenaries. I admit the ending read not like cozy mystery at all. Still I enjoyed it – you know me, the dark, dark crow enjoying dark things. And there was a tiny little whiff of romance which, I suppose, Derry deserved after so many unpleasant experiences. A cosy mystery which turns into something more sinister near the very end; still as nobody suffered any permanent damage and the book was a joy to read, I recommend it as a funny, recreational reading. 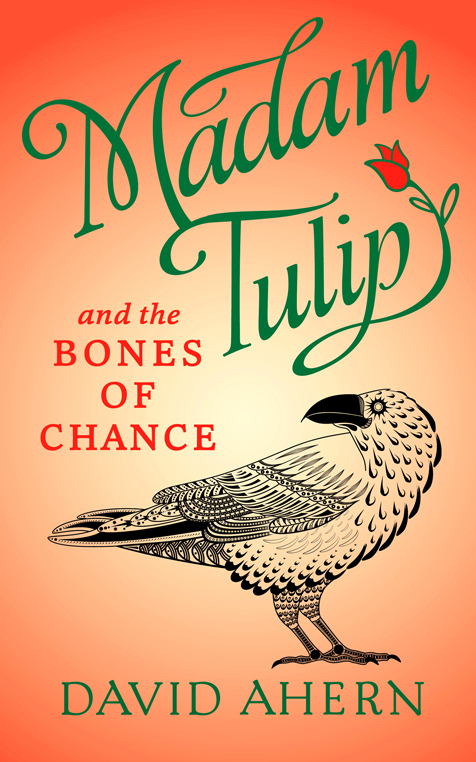 This entry was posted in adventure, book review, contemporary, cozy mystery, interview and tagged ARC, author interview, david ahern, madam tulip, madam tulip and the bones of chance, series alert. Bookmark the permalink. It was a pleasure talking to you, Bridget. Thanks for the kind words! Thank you for sending the ARC my way! Yayy! Im glad you like this series too! 🙂 I am glad myself!